Pursuing a Passion for Music: What Will Excite You! The next salon will be on Sunday, May 3, 6:30 pm (doors open at 6:00 pm). The theme is passion. Passion in different languages and diverse music types. We hope you will join us for this musical journey. In Argentina, Tango is equivalent to romance and passion. The couples that dance in the streets and clubs of Buenos Aires speak a special language of body movement. 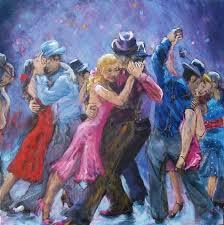 Tango in Buenos Aires is contagious, exciting, is a special spirit that one embraces. Phoenix is 5800 miles away from Buenos Aires, but on the 3rd of May it will be a lot closer. The next Salon will be a place for Tango, too. Rusty Cline and Joanne Canalli are amazing dancers with a long career of study and practice crowned by participation in Tango World Championship in 2011. They will bring the Argentinian flair to the Salon. 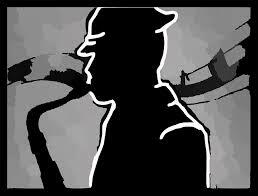 Frank Smith, the Soulful Sax Guy, will take us on a musical time journey from the 30’s through today, with the soul and passion that is essential to the blues and jazz forms. Frank has played with a wide range of international stars and has been a featured soloist with the Phoenix Symphony Orchestra. The Salon’s next stop will be Spain and the marvelous classical sounds. Craig Yarbrough has accepted to lead us into the musical heart of Spain by performing the work of some of its greatest classical and popular composers. Craig is a classical guitarist and the artistic director of the Grand Canyon Guitar Society in Flagstaff. From Spain we return to the Navajo country with Rowie Shebala, a Native American spoken word artist. Rowie brings the voice of her heritage into her performance and written work. Rowie is an acclaimed poet. She represented Arizona in the 2015 Women of the World Poetry Slam in New Mexico. The Salon will be a time for you to capture sounds and voices that resonate deep within you, and enjoy the forms and vibrations of exceptional music and poetry. See you on the 3rd. This entry was posted in Performances and tagged Scottsdale, Music Salon, Soul and Passion, Tango, Performance Poetry, Classical Guitar, Spain, Argentina, Navajo by John Zerio. Bookmark the permalink. You will receive notifications of upcoming Salon events. Welcome. You are a Salon fan now. The Salon is for friends and music lovers. A $20 donation is asked. All proceeds go to our talented performers. 50 people is our maximum capacity. When you subscribe to the blog you will automatically receive an invitation to buy the tickets. If you care to bring an appetizer or bottle of wine, it would be appreciated, but certainly is not required. Copyright © 2019 Salon at the Garden All Rights Reserved.